(Yes) Drivers must be 25 years or over. To hire a minibus + 7 seater, drivers must be 30 or over. We have a upper age limit of 70. I don't have a credit card of my own. Can I still book? Yes, please contact local branch for details. To hire a vehicle, you must bring a valid Driving Licence (Photocard), Driving Licence Summary and two proofs of your address (acceptable documents include utility bills and bank or credit card statements issued within the last 3 months). 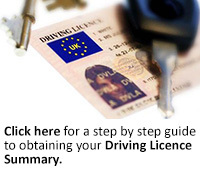 Overseas visitors must produce a valid domestic driving licence accompanied by a passport. You must also bring the credit/debit card used for payment of the reservation. Our vehicles operate on a ‘like for like’ basis whereby the fuel level is marked at the start of the rental (normally Empty –Empty) and should be returned the same. Any fuel shortages will be charged at local pump prices . 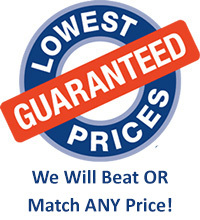 We accept payments by most major credit cards and by cheque (by approval of management only). We accept payments by Visa, Mastercard, Maestro and Delta. Yes. An excess will be charged for each incidence of damage. The excess amount is subject to driver qualification and vehicle type. 1-3 days: 250 miles per day free of charge. 4 days plus: unlimited mileage. Excess Charges vary contact local branch. Rentals can start at any time during our opening hours and are based on a 24 hour period. Van rentals usually start from 9am daily ,contact branch for variations . It costs £10.00 for each additional driver. Many of our locations are open 7 days a week. Can I pick a car up at one of your locations and drop it off at another? Can I return the vehicle out with your normal office hours? Yes, but vehicles are left at customers risk until a member of staff has checked the vehicle over. What do I do in the event of a breakdown? In the event of a breakdown, you will find an emergency roadside assistance on the windscreen. * DURING BUSY PERIODS: i.e. Fridays, Saturdays, Sundays and holidays, A Debit/Credit card number may be required when booking your hire. The hirer must cancel before 48 hours of the hire booking, if not a booking charge will be applied.